Santos de Cartier with new patented QuickSwitch interchangeable strap system. 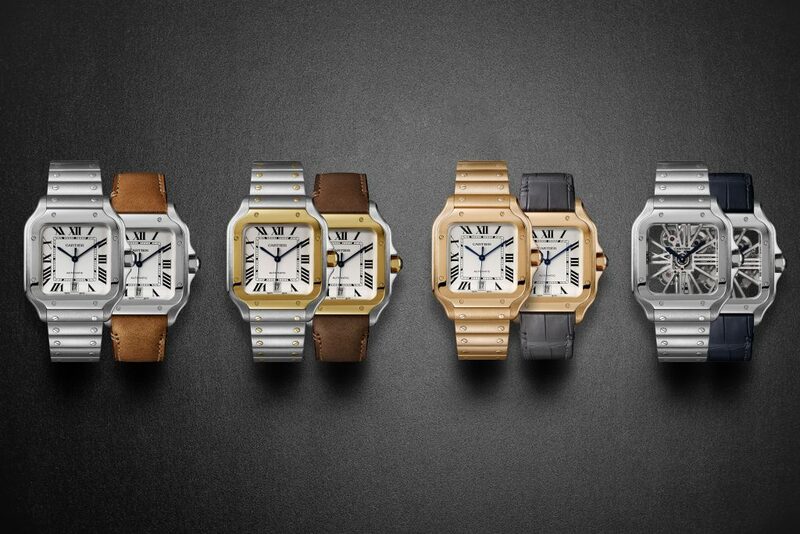 Earlier this year at the SIHH 2018, Cartier unveiled a cool new interchangeable (and self-sizing) strap and bracelet system for the new versions of the famed Cartier Santos watches. The Santos was first created in 1904, when Louis Cartier created a wrist watch for his friend, Alberto Santos-Dumont, who was regularly seen in the early 1900’s flying his dirigible around the Eiffel Tower. That watch became the inspiration for an entire collection, the Santos, which has since become an icon for the brand. Easily identifiable from across the room thanks to the cushion-cornered square case with eight screws on the bezel, the newest versions of the Santos de Cartier watches have sleeker profiles and are more dramatic in looks and wear thanks to the patented and versatile “QuickSwitch” interchangeable strap system. 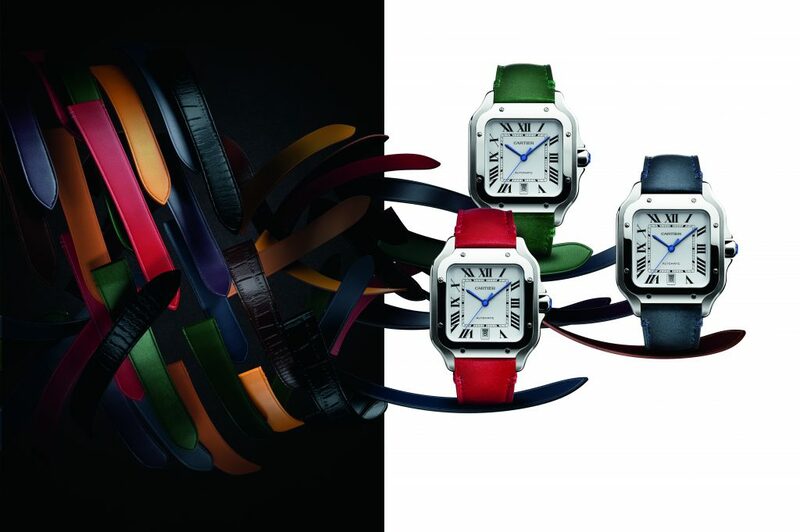 Santos D’ Cartier with new patented QuickSwitch interchangeable strap system has a host of different strap options. The new watches, offered in gold and in stainless steel, are offered with a host of different leather strap colors in calfskin or alligator, and with metal bracelets. The system works via a simple press on the mechanism behind the strap. Even better, Cartier equips the metal bracelets with another ingenious idea, the patent-pending SmartLink self-fitting system that lets the owner adjust the length of the bracelets without a tool. Designed for men and women, the new watches feature automatic calibers (1847MC) that are anti-magnetic. The watches are water resistant to 100 meters, and are tested in-house by Cartier. The video below shows a live demonstration of the strap-change system and the metal link sizing system.